Vol. XII – Day 88 P.E. February 6, 2017 The TrumpShaker Comments Off on Vol. XII – Day 88 P.E. We had planned to broadcast the link to this week’s newsletter in our Super Bowl ad, but found ourselves just $5 million short. We would say maybe next year, but hopefully, by next year’s Super Bowl we’ll be The Pencecillin: The Cure for the Pence Administration. Just in the last week, we’ve called multiple penalties on Trump: Personal Foul against a US District Judge, Illegal Motion against Immigrants, Roughing the Voters, Encroachment against UC Berkeley’s federal funding, Delay of Game at Airport Detention Centers, False Start in a Yemen Military Campaign, Targeting Muslims, and Givin’ Us the Business. Despite a rough week, take some solace on Super Bowl Sunday in knowing that somewhere Trump is probably upset thinking about how he once destroyed his own football league. As the last issue of The TrumpShaker went to print (is that the right word? ), Trump was signing his “it’s not a ban . . . okay you got us, it’s actually a ban on Muslims” Executive Order on travel from seven Middle East countries. In a stunning combination of callousness and incompetence, he basically broke our immigration system in one weekend. At airports across the United States, thousands of visa holders, green card holders, diplomats and others were unexpectedly trapped in bureaucratic limbo – awaiting super secret new vetting to either enter the U.S. or be sent back to where they came. Marchers and immigration attorneys descended on airports, NYC taxis at JFK went on strike, and NYC bodegas shut down in protest. That Trump unleashed such chaos with his (TrumpShaker-esque) signature is scary. What’s even scarier is that it gets worse. Trump put on his red “Make America Great Again” hat, envisioned himself as Gene Hackman inCrimson Tide, and fired acting Attorney General Sally Yates after she said she would not defend the Executive Order. As always, Trump took the lowest road he could find, noting in the press release on her firing that Yates had “betrayed the Department of Justice”, was “weak on borders”, and has been known to re-gift. The Trump Administration commented on the chaos unleashed by their Friday afternoon Executive Order (which, by the way, went out without Congressional or Department of Homeland Security review) by saying about that the oddly specific number of 109 people were inconvenienced by the order. That was obviously a lie, but we found out earlier this week just how big that lie was (spoiler alert: it was a whopper). In a hearing for a lawsuit by two Yemeni brothers who had been immediately sent back to Ethiopia upon arrival in Dulles and joined by the state of Virginia, a US Attorney estimated that 100,000 visas had been revoked by the Executive Order. There was an audible gasp in the courtroom. Some say 109. Some say 100,000. Tomato. Tomahto. You can’t expect the Trump Administration to keep track of mundane details like decimal points. But wait, there’s actual good news! U.S. District Judge (and George W. appointee) James Robart put a nationwide hold on the ban in a decision on a case brought by the states of Washington and Minnesota. His decision also reinstated the 60,000 revoked visas (yep, the DOJ subsequently clarified it wasn’t 100,000 visas that were revoked, but actually 60,000 – again, mundane details). In a strong exchange with the Department of Justice attorney, Judge Robart said that “I have to find it grounded in fact instead of fiction” to determine if the Order was rationally based. Thankfully, Judge Robart still believes in non-alternative facts. This will likely make its way to the Supreme Court as a Boston judge ruled in favor of the Administration. Keep this up and Trump might cause a constitutional crisis in just first week of his Presidency. That’ll get you in the history books! In case you’re wondering where Paul Ryan was during all of this, he was rocking back and forth in a corner mumbling something about supporting the policy, but it was not rolled out well. New and Improved Security Council: Now with Extra White Supremacy! So-called President Trump made the unprecedented move (I need to create a shortcut for “unprecedented move” in Word) of naming his Chief Political Strategist Steve Bannon to the National Security Council (NSC). The NSC is where the most crucial decisions about security are made. Previous Presidents have kept political strategists out of the NSC situation room, as politics should not come into play on fundamental issues of security. Trump, on the other hand, made Steve Bannon, a man with no real security experience, a permanent member of the NSC, while simultaneously taking the Chairman of the Joint Chiefs of Staff and the Director of National Intelligence off the permanent team. I don’t think Trump – the great deal-maker – made the best trade there.Enough about what I think though, what do others have to say? In defense of Bannon, Trump’s aide Sebastian Gorka said on NPR that Bannon was qualified because at Brietbart he built “a media giant that has crushed its left-wing rivals.” Oh good, that’s all I need to hear, I feel better now. Senator Mark Warner (D-VA) has submitted a bill that would get Bannon off of the NSC. Australia – Trump hung up on the Prime Minister during a call in which Trump bragged about his win and said he may renege on a deal to take in 1,250 refugees from Australia. Mexico – Trump threatened to send U.S. troops over the border to take on Mexico’s “bad hombres” (i.e. invade Mexico). Norway – The former Norwegian Prime Minister was held up and questioned over the weekend by U.S. Customs because he had visited Iran. Ukraine – Trump met with the opposition leader rather than the current President of the sovereign nation of Ukraine, which is being bombed at the moment by Russia. Australia, Mexico, Ukraine, and Norway, that’s a real axis of amity that Trump took on last week. His explanations for the tensions? Well, Trump fell back on the excuses I’m sure you heard from your worst boyfriend. He Has a Name. His Name is Merrick Garland. His Name is Merrick Garland. This week, Trump nominated Judge Neil M. Gorsuch from the 10th Circuit Court of Appeals in Denver. Judge Gorsuch is qualified to be a Supreme Court Justice, even though he’s to the right of former Justice Scalia.His qualifications are not the issue. The issue is that for 11 months there already was an extremely well-qualified person nominated for that seat on the Supreme Court, Judge Merrick Garland.Forgot about him? Don’t worry, you’re not alone. The Republicans have too. Republican Senators are falling on fainting couches all over D.C. at the thought that Democrats may filibuster Judge Gorsuch’s nomination. 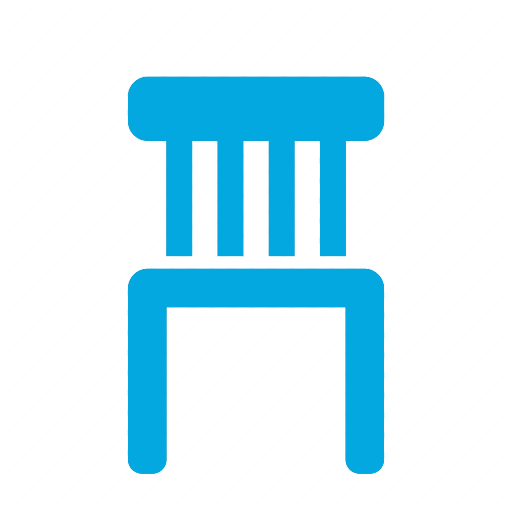 Quick reminders for you: Merrick Garland’s nomination, made in March by President Obama, was before the Senate for 293 days,. That is twice as long as any other Supreme Court nomination in history. Republicans refused to even have hearings because Garland was nominated in an election year, which is a made-up reason to not vote on a Supreme Court justice. When it looked like Hillary would win the election, the GOP pledged to stop her from nominating anyone to the Supreme Court. Senator McCain (R-AZ) said the GOP would be unified against any Hillary nomination. Senator Ted Cruz (R-TX), who filibustered the Affordable Care Act by reading Green Eggs and Ham, said he’d consider permanently leaving the Supreme Court at 8 justices. My favorite though is Senate Majority Leader Mitch McConnell’s impression of Mr. Short Term Memory. Gorsuch’s nomination will show us if there is a viable opposition in Congress to Trump. Will the Democrats filibuster Gorsuch (i.e., require 60 votes to confirm) as a matter of principle to not reward stealing Garland’s seat? If so, are the Republicans willing to burn it all down and eliminate the long-standing filibuster as a tool and push the Gorsuch through with a simple majority? Trump and Pence have already encouraged the Republican Senate to “go nuclear” and eliminate the filibuster if needed. More Pollution! – Congress voted this week to eliminate prohibitions on mining companiesdumping their waste in streams. More Guns in the Hands of People with Mental Disorders! – Congress voted this week to stop the Social Security Administration from reporting recipients with mental disorders like severe anxiety or schizophrenia to the FBI’s background check system for gun purchases. In fairness, the ACLU also supported this bill. More Bribes! – On the day that the Senate confirmed former Exxon CEO Rex Tillerson as Secretary of State, Congress also repealed the SEC requirement that gas and mining companies need to disclose payments (read: bribes) to foreign governments. Less Internet for the Poor! – Trump’s new FCC Chairman is stopping some companies from providing subsidized internet services to poor people. “[T]hey hired a big, big movie star, Arnold Schwarzenegger, to take my place. And we know how that turned out. $200 Million May Not Buy What It Used To – After Secretary of Education nominee Betsy DeVos’s terrible performance in her Senate hearings, it was revealed that some of her answers in her questionnaire were plagiarized. So she doesn’t know basic education policy and does things gets you detention in fourth grade, sounds like Secretary of Education material to me. Two Republican Senators have said they would vote against her, meaning it’s currently a 50-50 tie! Just one more Republican needs to grow a conscience. If not, then VP Pence will cast the deciding vote in her favor. In related news, Betsy and her family have donated approximately $200 million to Republicans over the years. Trust Me, I Know What I’m Doing – The New York Times reports that those unlabeled manila folders that Trump showed at his press conference about his non-blind trust may shockingly not have eliminated conflicts of interest. 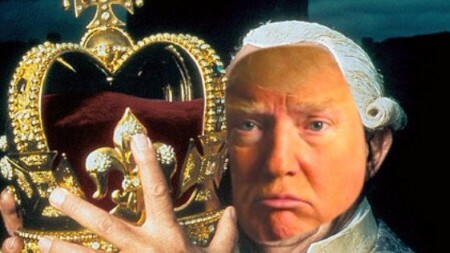 Trump can revoke the authority of the trustees of his assets at any time and Trump will receive reports on any profit or loss of his company. Never Forget What Happened at Bowling Green – In defense of the Muslim ban, Trump spokesperson Kellyanne Conway made up a tragedy called the Bowling Green Massacre in an interview with Chris Matthews. No such tragedy occurred or came close to occuring. Sammy Davis Jr. is Going to Be Really Upset – The White House, in its Holocaust Memorial Day release, failed to mention that Jews were victims in the Holocaust. This was not an accident. Vice President Mike Pence noted only Abraham Lincoln in his tweet about Black History Month. You’d think an Administration that has been accused of appealing to racists would be more careful or maybe . . .
Don’t Look Under That White Robe – Trump is changing a government program, Countering Violent Extremism to Countering Radical Islamic Extremism. It will no longer focus on domestic extremists, only Islamic extremists. In other words, future Dylann Roofs and Timothy McVeighs will not be watched closely even though as reported by Newsweek, since 2002, domestic extremists have engaged in twice as many terrorist acts in the United States as radical Islamists. 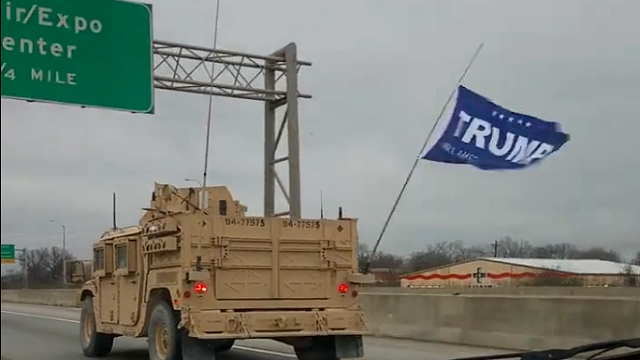 A U.S. Military convoy in Kentucky with a Trump flag rather than a U.S. flag. In an interview with Michael Tomasky, renowned sociologist Theda Skocpal discusses what the left can learn from the Tea Party in Can Marches Become a Movement? 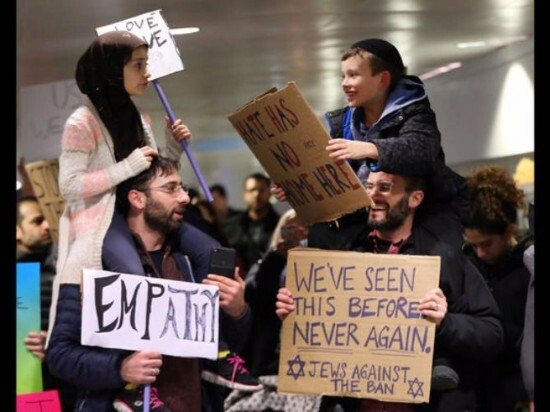 Did you love that picture above with the little Jewish boy and the Muslim girl at O’Hare? Here’s the story behind that photo. It’s Super Bowl Sunday! Deadspin’s Drew Magary talks about losing the escapism of sports in The Darkest Super Bowl. We’ve featured numerous organizations that are trying to focus volunteer efforts and donations where they are most needed in upcoming elections. Flippable is worth adding to the list because of its work to identify important state representative races. Future political leaders and future insane laws often begin at this level. Finally, Some Good News. Some of This is Actually Working! Terrible person Utah GOP Rep. Jason Chaffetz withdrew his bill to transfer 3 million acres of federal land back to the states. Uber’s CEO has stepped down from Trump’s advisory group after 200,000 people deleted Uber’s app in protest of his involvement as well as Uber not respecting the taxi strike at JFK. Nordstrom and Neiman Marcus have both dropped Ivanka’s clothing and jewelry lines after GrabYourWallet put pressure on them. It’s been an overwhelming difficult two weeks for many of us, but keep fighting. We will win this. Previous Post:Vol. 11 – Day 79 P.E. Next Post:Vol. 13 – Day 95 P.E.